KARACHI, Jan 21 2015 (IPS) - As a wave of outrage, crossing Pakistan’s national borders, continues a month after the Dec. 16 attack on a school in the northern Khyber Pakhtunkhwa province, some citizens are turning away from collective expressions of anger, and beginning the hard work of building grassroots alternatives to terrorism and militancy. While many millions of people are lashing out at the Taliban for going on a bloody rampage in a school in the province’s capital, Peshawar, killing 141 people including 132 uniformed children in what is being billed as the group’s single deadliest attack to date, The Citizens Foundation (TFC), a local non-profit, has reacted quite differently. Rather than join the chorus calling for stiff penalties for the attackers, it busied itself with a pledge to build 141 Schools for Peace, one in the name of each person who lost their life on that terrible day. “We dedicate this effort to the children of Pakistan, their right to education and their dreams of a peaceful future,” Syed Asaad Ayub Ahmad, CEO of TCF, said in an email launching the campaign. “With the formidable challenges facing the nation, we passionately believe that only education has the power to enlighten minds, instil citizenship and unleash the potential of every Pakistani,” he added. In their war against western, secular education, which the group has denounced as “un-Islamic”, the Pakistan Taliban have destroyed over 838 schools between 2009 and 2012, claimed responsibility for the near-fatal shooting of teenaged education advocate Malala Yousafzai and issued numerous edicts against the right of women and girls to receive proper schooling. In their latest assault on education, nine militants went on an eight-hour-long killing spree, throwing hand grenades into the teeming school premises and firing indiscriminately at any moving target. They claim the attack was a response to the military operation aimed at rooting out the Taliban currently underway in North Waziristan, a tribal region bordering Afghanistan. While armed groups and government forces answer violence with more of the same, the active citizens who comprise TCF want to shift focus away from bloodshed and onto longer-term solutions for the future of this deeply troubled country. The charity, which began in 1995, has completed 1,000 school ‘units’, typically a primary or secondary institution capable of accommodating up to 180 pupils, all built from scratch in the most impoverished areas of some 100 towns and cities across Pakistan. The 7,700 teachers employed by the NGO go through a rigorous training programme before placement, and the organisation maintains a strict 50:50 male-female ratio for the 145,000 students who are now benefitting from a free education, according to TCF Vice President Zia Akhter Abbas. 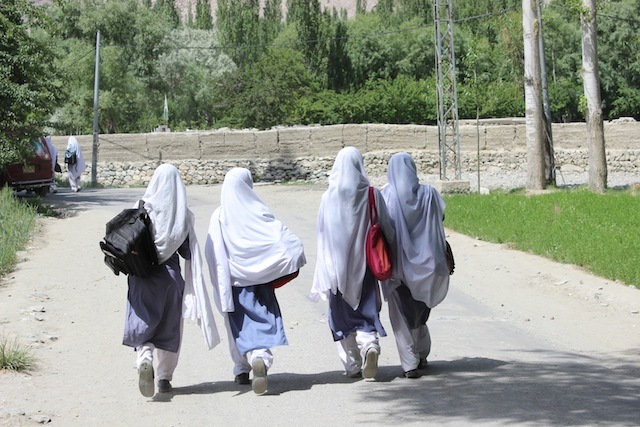 In a country where 25.02 million school-aged children – of which 13.7 million (55 percent) are girls – do not receive any form of education, experts say TCF’s initiative may well act as a game changer in the years to come, especially given that the government spends just 2.1 percent of its GDP on education. The project has received widespread support from a broad spectrum of Pakistani society. Twenty-four-year-old Usman Riaz, a student at the Berklee College of Music in Boston who recently donated the proceeds of his jam-packed concerts in Karachi to TCF’s efforts, says the Schools for Peace are a “wonderful way to honor the innocent victims”. But it will take more than one-off charitable donations to make the scheme a reality. 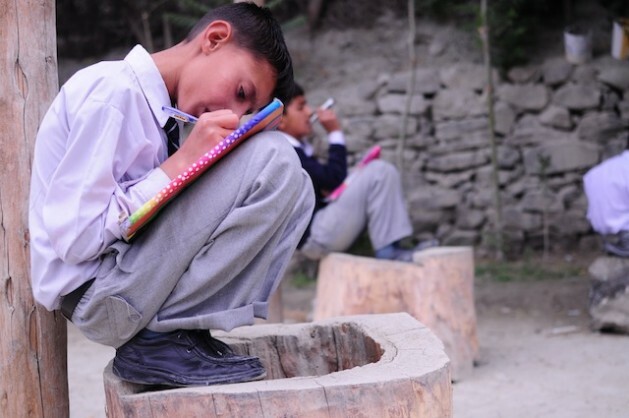 It costs about 15 million rupees (148,000 dollars) to build and equip each new school, so the total bill for all 141 institutions stands at some 21 million dollars. With a track record of building 40-50 schools a year, however, the NGO is confident that it will honor its pledge within three years. Besides immortalizing the victims of the Taliban’s attack, experts here say that shifting the focus away from terrorism and onto education will help combat a growing pulse of religious extremism. The prominent Pakistani educationist and rights activist A.H. Nayyar told IPS that it is crucial for the country to begin educating children who would otherwise be turned into “fodder for extremists”. In fact, part of the government’s 20-point National Action Plan – agreed upon by all political parties dedicated to completely eradicating terrorism – includes plans to register and regulate all seminaries, known here as madrassas, in a bid to combat extremism at its root. With thousands of such religious institutions springing up across the country to fill a void in the school systems, policy-makers are concerned about the indoctrination of children at a young age, with distorted interpretations of religious texts and the teaching of intolerance playing a major role in these schools. Some sources say that between two and three million students are enrolled at the nearly 20,000 madrassas spread across Pakistan; others say this is a conservative estimate. Nayyar and other independent scholars have been at the forefront of calling for an overhaul of the public school curriculum, which they believe is at odds with the goals of a modern, progressive nation. But until policy-makers and politicians jump on the bandwagon, independent efforts like the work of TCF will lead the way.